Each box contains 24 packs. Each pack contains 6 cards. 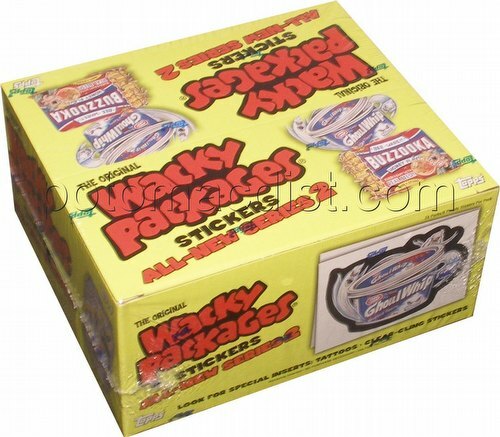 Possible inserts found in this February 2005, New York area release of Wacky Packages 2 include 10 different Tattoos and 9 different Clear-Cling stickers.